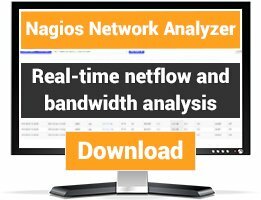 This perl nagios plugin allow you to check oracle service (ability to connect to database ) and health of oracle databse (Dictionary Cache Hit Ratio,Library Cache Hit Ratio,DB Block Buffer Cache Hit Ratio,Latch Hit Ratio,Disk Sort Ratio,Rollback Segment Waits,Dispatcher Workload) is possible define own parameters.Big advantage is that it does not need to install ORACLE client or compile other perl modules. Unable to connect to ORACLE orcl, error !!! 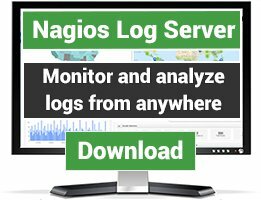 I am able to get proper output of the command when I am using it from the shell of Nagios server. 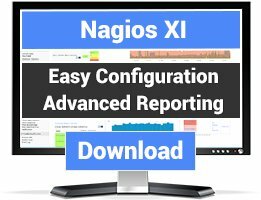 Is there I am missing something to configure in Nagios? This plugin is very good in the way that you don't need the Oracle client. I did change the script to suit my needs: split the checks, add perfdata and variable thresholds. This is an excellent script. I had to made few changes for making it to work with Oracle 12c PDBs. First, my sqlplus binary is 64 bits, so I edited the script changing it for 'sqlplus64'. In Oracle 12c you can use a "Container" and put many datbases in there, as PDB. But in this case, they don't use the variable SID, instead, you must use SERVICE_NAME. Love this script, but there were some issues. Therefore i rewrote this script, so that the usability will be higher, i will post this one soon. Support Oracle Oracle Database 11g? To make it work with a RAC cluster I had to do the following little changes in the code of the script. I think the lack of environment is due some changes in last versions of oracle instant client for linux. Good morning, i can't run this script in my ubuntu distro with nagios or icinga. I get an error: need explicit attach before authenticating a user (DBD ERROR: OCISessionBegin). I va installed DBD::Oracle and DBI OK, but it not run. This script has a serious flaw, since it tries to login as "system" with an incorrect password. The result is that the "system" account is locked after a couple of attempts. Needs to be modified. I think I am messing this up because i canÂ´t seen to get this plugin working.Before I put plugins in Nagios3 I test then via command line like this ./check_oracle_instant replacing the words between with the appropriate data to fit my needs.Can anyone tell me if this is the correct syntax? Very good because you dont need to add anythig to the oracle server. Works fine , tested. With DB up it was green , with oracle stopped it became critical , and while DB was starting up it sent a warning message.